How Do You Know When a Product Has Artificial Fragrance? 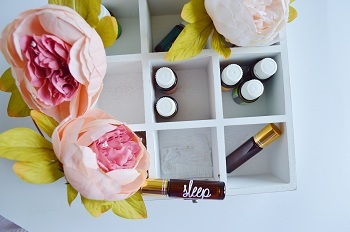 Last summer when I was talking with an acquaintance about essential oils, she showed me her supply of little bottles with essential oils and fragrance oils next to each other in a box. I realized that she did not know the difference. Fragrance oils are artificial, while essential oils are naturally distilled oils from plants. many years and tolerate extreme temperatures, and are cheap. Essential oils are oils that float on the watery liquid created when plants are distilled. Usually very small amounts of oil rise to the surface. This oil is skimmed off and bottled. The reason essential oils are expensive is that there is such a small quantity of oil produced from bales of flowery plants. (several bales of lavender are required to produce just a few millilitres). Absolutes are the watery liquid distillate that remains after the essential oils are skimmed off the top. They are also full of wonderful fragrance and offer a slightly different scent from essential oils, but are natural, healthy and often very beautiful. Ingredients lists will tell you what is creating the scent in the body care products that you love. Read carefully so that you can select only flower, leaf, root and woody plant essential oils. Remember, essential oils and absolutesare made from plants. Fragrance oils, fragrance and parfum are artificial.